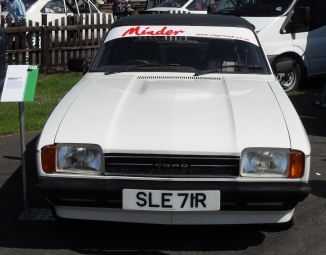 Throughout the first seven series of Minder, Terry McCann drove a white Ford Capri. 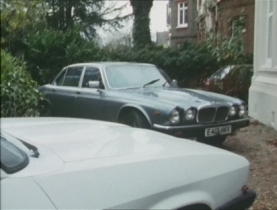 This car appeared in various guises throughout series 1 and 2. 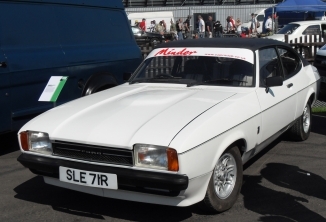 The most famous Ford Capri is without doubt, that which is driven by Terry in the opening titles of The Terry McCann Years and at various times during the series - it is the most famous of the Minder cars. Fans of this car, the original white 1976 Mark II Ford Capri 2.0S driven by Terry in the opening titles and at various times throughout the series, will be pleased to know that this car has been rescued from the scrapheap and is available to seen today at various motor enthusiast events in the UK. In July 2005, Terry's Capri was voted the 28th Greatest TV car ever by viewers of British Sky satellite TV viewers. A short clip of the car featured on this show along with its red 1980s Arthur Daley tax disk. See our YouTube channel for a clip of this. Newspaper reports about this car have suggested that after it was originally sold, it was used by a gang involved in a drugs racket after which it was saved from the crusher. The car itself was owned until 2014 by John Hill of Capri Club International. After purchasing it for £1500, John Hill approached Phil Blundell and Jeremy Redman of Bletchley based PMB Mobile Servicing to restore the car to its original glory days. For information about this restoration work and 'The John Hill Capri' you can contact the Capri Club HQ, Badgers Hill, Sheriffs Lench, Evesham, Worcs WR11 4SN. Capri Club International also have a website here. Details of this car's initial restoration project including photos can be found on the Minder forum. The current whereabouts of the car are unknown but it was spotted in Huddersfield in 2015. 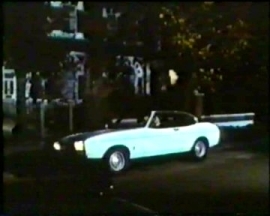 Apart from the car seen in the opening titles, this was the first ever Capri used in the series. This shot is taken from series #1.2 Bury My Half A Waltham Green. 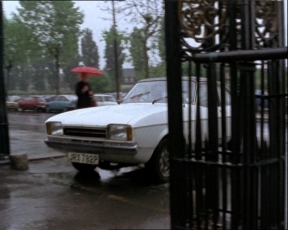 Terry uses this car to collect George Wilson (played by Nicky Henson), who he believes to be Albert Stubbs from Wormwood Scrubs. DVLA records suggest this car is on authentic plates in this episode. Road tax was last due for this vehicle in November 1983. This infamous car is only seen once in episode #1.11 You Gotta Have Friends. DVLA records show this was in fact an authentic plate so this car's registration was real. 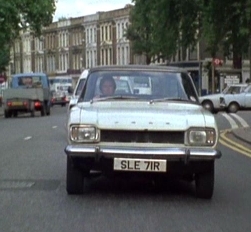 The episode itself suffers a major continuity crisis when Terry heads off to find Arthur as scenes switch between the car shown here and the SLE 71R above. In series 2 an alternative Mark I Capri was used. 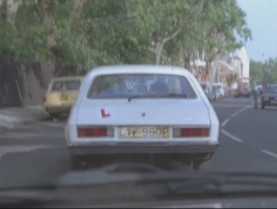 Notice how the number plate is exactly the same in this shot, taken from #2.13 Caught In The Act, Fact. In this shot, also notice to the slight damage to the car's right front light. 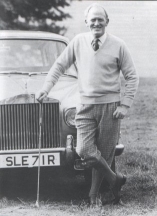 At the time it would seem TV companies would purchase a variety of different car number plates and use them on a number of different cars or use third party firms to supply the cars. Did George Cowley steal Terry McCann's Capri? Here's a picture of the late Gordon Jackson as George Cowley from the hit series 'The Professionals'. This picture is taken from Dave Rogers book 'The Complete Professionals' - notice the number plate. In series 3, two different Capris were used. Firstly, we see the original SLE 71R car in #3.2 You Need Hands. Here the car is being repaired by Des, shown on the left. In this one episode, the car has now developed mudflaps. Soon after this, the car breaks down and is never to be seen again. This is the only time it appears in this particular series and #3.2 You Need Hands is also one of the few episodes that features Arthur's original Jaguar. This suggests that this episode may have been filmed at a different time to others in the series. 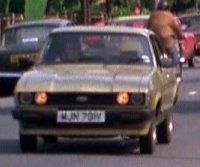 For the rest of series 3 we see Terry driving a gold Mark III Capri, registration MJN 107V shown here. The shot in the middle is from #3.9 Why Pay Tax? and the shot on the right is from #3.1 Dead Men Do Tell Tales. This Capri only featured in this series. 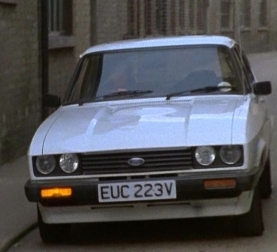 This Mark III Capri was used from series 4 right up until the end of the series 6. This particular shot is taken from #4.7 A Star Is Gorn. Interesting to note is that this car featured longer in the series than the original Capri seen in the opening titles, though most people will turn their head at the original car because it featured each week in the opening titles and nobody will blink an eyelid at this one. 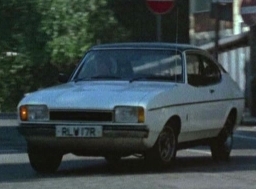 The registration of this white Mark II Capri is unknown and only appears very briefly in the anti-drugs episode #6.8 A Little Bit Of Give & Take when Terry takes Shaun to his cousin Tim's party. Actor Chris Routh who plays Shaun in the episode mentions recalls "I also remember that the Capri used in this particular episode is not the Capri that the company normally used. The producer rented the car off a woman for about £100 for the day. You don't see much of it in the episode (deliberate) but if you look carefully, the damn thing was knackered - not the Capri Terry would drive." 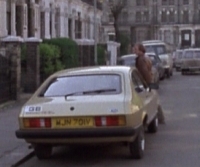 In series 7 (Dennis Waterman's final series), we only catch a glimpse of a Terry's white Mark II Capri once. In the final episode of the series #7.6 The Wrong Goodbye, Terry is giving a driving lesson in the car. The car itself doesn't last long as it is soon hit from the rear by DS Rycott & DC Melish, as Melish is distracted by a pretty woman who crosses the road. 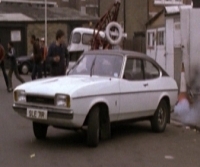 In this crash scene around 7 minutes into the episode, actors Michael Troughton (DC Melish) and Peter Childs (DS Rycott) were actually driving the Vauxhall Cavaliar that hits the rear of this Capri and no stunt drivers were used. DVLA records show this Capri's number plate to be genuine, although the car this number plate was originally registered to, was in fact blue. In series 8 the legacy of Terry McCann and his white Ford Capri lives on for one last time when Arthur goes around to Terry's flat in #8.1 The Loneliness Of The Long Distance Entrepreneur to discover that Terry has moved out and left his keys behind. There is no full shot of this car at any point in the episode and we only catch a glimpse as Arthur pulls up alongside.